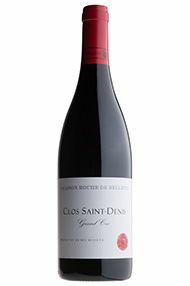 Rich in purple with a tasty whiff of oak and deeply concentrated fruit this Clos St Denis has impressive weight and an amazing rush of energy at the back of the palate. It really is very complete. Maison Roche de Bellene Production has recently moved to a new facility on the outskirts of Beaune, which is making life much easier for the Roche de Bellene team. The philosophy stays the same: work with excellent grape sources and get the wines out into the market at competitive prices. The reds have had an excellent following for many a year now, while recently the whites have shown the same impressive price to quality ratio that makes this such a good address.